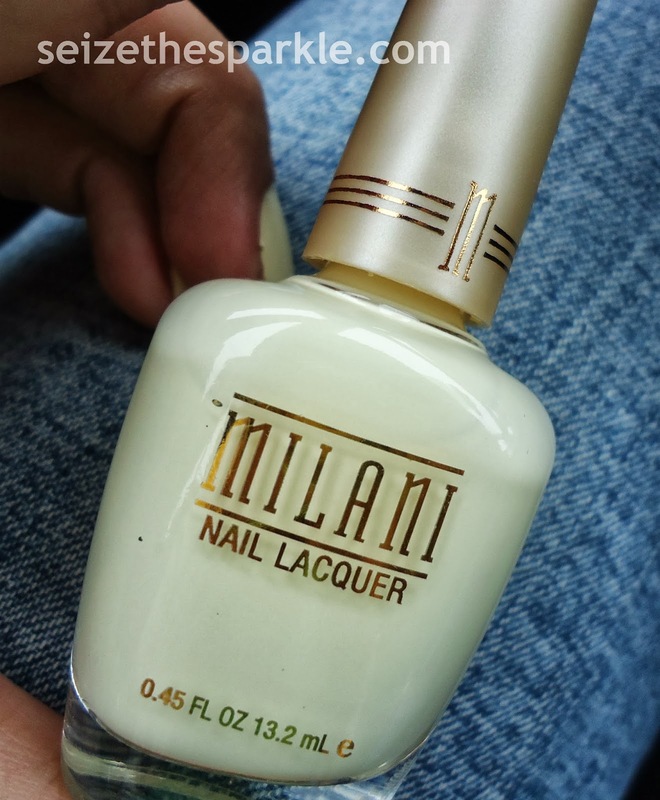 This is one of 2 shades I recently found from the Milani Retro Glam Collection. I've been hunting for it at my regular CVS for over a month, and finally found it at the other one across town. Go figure! I was excited when I finally found the Retro Glam collection from Milani. So, I picked up Almond Bliss, the shade pictured above, and Creamy Pistachio, a mint creme polish. I'm thinking of going back for Strawberry Shake, but I haven't decided for sure. Anyway. Almond Bliss found its way onto my radar because it was a pretty off-white cream color in the bottle. On my nails, however, it's a sort of pastel, chalky yellow color. It just looks... harsh. Really harsh. Formula-wise, this wasn't the most fun to apply. I had streaks with every coat, and in all honesty, the finish just isn't as smooth as I would like. 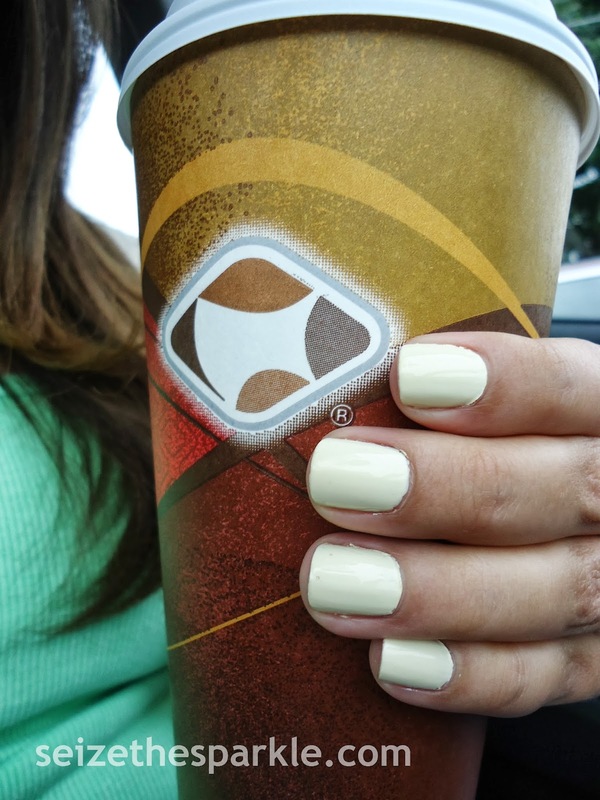 What is it about yellow polish and streaks? I'm thinking this polish needs to have a whole bunch of shimmer polish added to soften it up a little bit. Eh. It's not that I don't like this polish, really. It's just that it's really not what I was expecting. I wanted more of a soft cream-colored polish, and while that's what I see in the bottle, it just doesn't translate that way onto my nails. Almond Bliss definitely needs a little bit of doctoring before I wear it again. Have you picked up any of Milani's Retro Glam Shades?